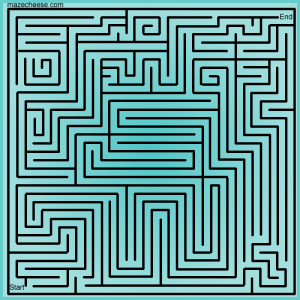 Mazecheese has added a new maze. Maze 27 is a back-to-basics genuine start to end finger/mouse/stylus maze where, at the website, you can draw a path on the maze to accomplish the goal. Hope you enjoy this maze. The calming blue will have you lost in thought as you meander the multiple courses.